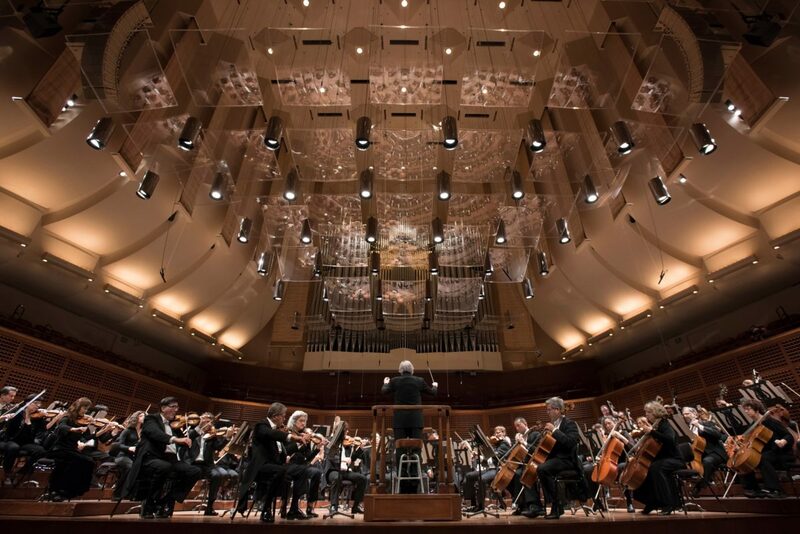 The San Francisco Symphony has grown in stature and acclaim under such distinguished music directors as Henry Hadley, Alfred Hertz, the legendary Pierre Monteux, Josef Krips, Seiji Ozawa, Edo de Waart and Herbert Blomstedt. Current Music Director Michael Tilson Thomas assumed the post in 1995. Together, he and the San Francisco Symphony have formed a musical partnership hailed as “one of the most inspiring and adventurous in the country.” Michael Tilson Thomas (MTT) celebrated his 20th season as Music Director of the San Francisco Symphony during the Orchestra’s 2014-15 season. MTT is currently the longest-tenured music director at any major American orchestra, and has surpassed Pierre Monteux as the longest-tenured San Francisco Symphony Music Director. Tilson Thomas and the Orchestra have also been praised by the critics for their musicianship, for their innovative programming, for bringing the works of American composers to the fore, and for bringing new audiences into Davies Symphony Hall. With the launch of the San Francisco Symphony’s own SFS Media label in 2001, Michael Tilson Thomas and the Orchestra recorded all of Mahler’s symphonies and songs for voice and orchestra. SFS Media records and releases audio and visual material reflecting the Orchestra and Michael Tilson Thomas’ commitment to showcasing music by maverick composers as well as core classical masterworks. With a slate of recordings and releases of music by Harrison, Cowell, Varèse, Bernstein, Beethoven, Ives and Copland, the Orchestra’s recordings continue to reflect the broad range of programming that has been a hallmark of the MTT/SFS partnership. SFS Media also releases documentary and live performance videos such as MTT and the SFS’s national public television series and multimedia project Keeping Score, designed to make classical music more accessible to people of all ages and musical backgrounds, now available as digital downloads and on DVD and Blu-ray. Keeping Score includes an innovative website, www.keepingscore.org, live performance audio CDs, a radio broadcast series, and an education program for K-12 schools.